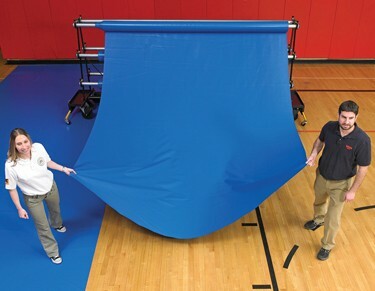 Add years to the life of your gym floor with our 27oz heavy-duty GymGuard standard floor cover. Available in a wide range of colors and sizes! Sold by the square foot. Most gyms are multi-purpose. So your gym floor has to hold up to a lot more than sports - dances, concerts, graduations and other activities. It gets heavy foot traffic, stains, scuffs, impact from furniture and more. 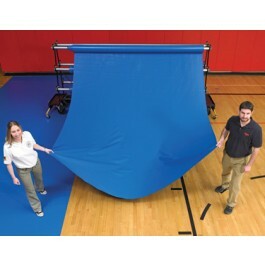 GymGuard® covers are built tough to protect your investment.